Hey folks, looks like someone had one hell of a night huh? I bet your head is hammering so bad you can barely read this segment! But not to worry, I’ll make it sweet and simple. Unlike most of the ailments and diseases that we normally talk about here, hangovers are absolutely and totally self-inflicted. So I hope you understand if I’m not as sympathetic to your condition as I usually am. But as a fellow lover, connoisseur and aficionado of all things psychoactive, sedative, tranquilizing, and others that we won’t mention (rhymes with robotics), you have my full empathy, compassion, and genuine concern for your condition. What, were you expecting Dr. Phil to come and talk to you about hangovers? Oh no, today, you get people who actually know a thing or two about their stuff…I’ve searched far and wide to find the most educated, outspoken drink lovers and hangover experts from all the different generations out there. People who’ve had so many hangovers that they can label them in different categories and cook up a cure for each. They have chugged gallons of water, swallowed bile tasting detox tonics, popped an endless list of pills, drunk even more alcohol, and tried highly unconventional remedies all in search of the perfect hangover cure. That’s right; they’ve repeatedly put their bodies in harm’s way so that you don’t have to. Why? Well, they love to knock back a few bottles and don’t want the effects of alcohol to interfere with our day to day lives. Now I totally understand that this is one of those times when what you need isn’t a doctor. No, today, you need a team of fully fledged, high functioning alcoholics and lifelong drunkards who have managed to turn hangover management into a refined art. I kid you not; I’ve gone through all the symptoms associated with hangovers and even managed to point out some causes and risk factors that actually make you more prone to getting killer hangovers that could split an ordinary man’s head in half. That’s why me and my drunken pals are here to share a little wisdom in Olivia’s ultimate, comprehensive, and in-depth guide to everything you need to know about hangovers. Scientifically speaking, a hangover can be described as the experience of several unpleasant psychological and physiological effects that occur following the ingestion or consumption of ethanol as found in beer, wine, distilled spirits and other alcoholic beverages. However, let’s just call it a collection of various signs and symptoms linked to a very recent bout of heavy drinking. 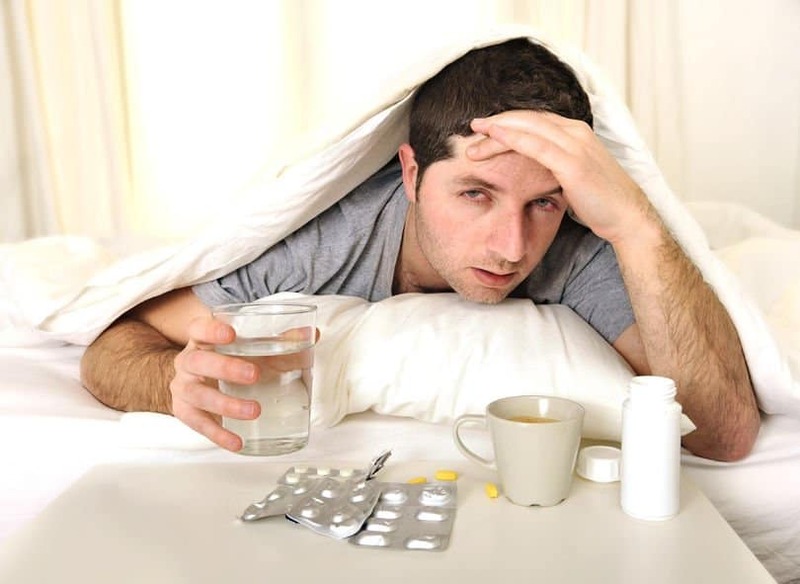 Some of the symptoms of hangovers include headaches, drowsiness, dizziness, fatigue, sweating and gastrointestinal distress, but we’ll get to that later on. Typically, hangovers can last for several hours or stretch out for more than a full 24 hours. The severity or intensity of hangovers is however closely linked to exactly how much alcohol you consumed, dehydration levels as well as how many hours of sleep you got. However, it is impossible to say how much alcohol one can safely consume to avoid a hangover. That will largely depend on the individual as well as other factors that we’ll look at later on. All in all, a hangover can leave you irritable, sensitive to light, struggling to concentrate, weak and nauseated – not a good combination if you were planning to make the most of your day and not spend all of it in bed. Now, for those of you who didn’t know it yet, there’s a reason why hangovers happen in the morning and not immediately when you start drinking or while you’re drinking. That’s because the very first symptoms of hangovers usually start when your blood alcohol level drops considerably, almost to zero. While the main processes that lead to the development of hangovers are poorly understood, there are several changes and phenomena that give rise to alcohol hangovers. I’ve listed all of them here with a little information so you know what exactly is causing your mornings from hell. Acetaldehyde is the first by product of ethanol and is actually 10 to 30 times more toxic than alcohol. After the initial consumption of ethanol, Acetaldehyde can remain elevated for hours on end. It influences one of the key antioxidant enzymes known as glutathione peroxidase which makes you more susceptible stress. Similarly, the acetic acid formed interferes with some metabolic processes causing a plethora of problems. Here’s one of my favorite topics when it comes to hangovers. You may not know what congeners are, but they already have a huge impact on what kind of drinks you like. Check this out; apart from water and ethanol, most alcoholic drinks contain congeners either as a by-product of fermentation and aging or a flavoring. Although ethanol in itself is more than sufficient to cause a hangover, congeners aggravate the symptoms and cause other residual side effects. Congeners include acetones, amides, amines, methanol, esters, histamines, tannins, fusel oil and polyphenols, but not all of them are toxic. Different types of alcoholic beverages contain different amounts of congeners, with dark liquors having the highest concentrations. According to studies, the congener content and ability of drinks to cause hangover were ranked and rated from lowest to highest as follows: distilled ethanol with fruit juice, beer, vodka, gin and clear liquors, white wine, rum, red wine, brandy and bourbon topping the list with over 30 times more congeners than other types. Alcohol tends to have a dehydrating effect as a result of increased urine production known as dieresis which leads to dehydration, thirst, dry mouth, dizziness, and electrolyte imbalance. However, studies have shown that electrolyte changes only play a minor role in causing hangovers. Drinking water might help relieve the symptoms of a hangover, but it really does nothing for the presence and severity unless you were properly hydrated while drinking alcohol. Research has shown that hangovers can be associated with the drastic decrease in blood glucose concentrations. Typically, most people’s blood sugar levels fall steeply after consuming plenty of alcohol. This results in moodiness, tiredness, shakiness, general body weakness, seizures in some cases and even hypoglycemia which can lead to a coma or death. Among all factors studies, the significant relationship between immune factors and hangover severity is actually the most convincing. An imbalance of the immune system and in particular cytokine metabolism has been identified as a major contributor to the pathophysiology of the hangover state, especially for symptoms such as fatigue, nausea, headaches, among others. So you want to learn how to treat a hangover, huh? Well, prepare to have your sock blown off because get this – There is no real treatment or cure for hangovers. Hangovers are really poorly understood from a medical point of view, and that’s not because they are complex. Far from it! As a matter of fact, health professionals have focused all studies on treating and preventing alcohol abuse with the view that hangovers offer an incredibly useful, intrinsic and natural disincentive to excess overconsumption of ethanol or alcohol. What’s more, there’s a very serious debate going on about whether or not a hangover should be prevented or mitigated. So as a semi-responsible adult and educator, I have to set you straight. If you came here with the intention of knowing how to treat hangovers so you can drink even more the next time, then you still don’t get it. There’s no way to separate excessive drinking with a hangover. That’s just your body’s natural way of telling you that you crossed a line and will get worse by the day. So, can you treat a hangover? Absolutely not; you drink too much, you pay the price, simple mathematics. But, what you can do is prevent a hangover by avoiding alcohol completely, or at least drinking within recommended limits. And just in case you do drink too much, it’s best to let the hangover run its course while doing what you can with water, painkillers, food, and other symptom relieving treatments that we’ll look at later on. First, let’s look at how to avoid or prevent a hangover. To avoid dealing with a hangover in the first place, try the following tips and tricks that will allow you to get away with the occasional overindulgence. Never drink on an empty stomach. Always ensure you have a full meal that includes carbs, proteins, and some fats. Food helps slow down the body’s absorption of alcohol. Don’t drink more than your body can cope with. If you have trouble keeping track, there are lots of apps that can help you manage whatever type of alcohol you’re taking. As a primary rule of thumb, those prone to hangovers should stay away from darker-colored drinks. By now, you’ve no doubt began finding out that you’re sensitive to some of them. That’s because they contain high levels of congeners which irritate blood vessels, the stomach and only aggravate the symptoms of a hangover. Avoid getting into rounds, unrealistic drinking games or shots; they make it harder to keep track of your alcohol intake. Water is your friend – drink plenty of water and soft drinks in between alcoholic drinks to avoid dehydration. Similarly, drink a pint before you go to bed and keep a glass by the bed to sip in case you wake up at night. It really goes a long way to mitigating hangovers. If you’ve just woken up at whatever time of the day and you’re feeling terrible, then you probably didn’t follow our advice and tips for preventing a hangover. In which case, serves you right. However, you still have to do something about the blasted hangover. As I mentioned earlier, managing hangovers basically involves riding it out and helping your body deal with the dreadful symptoms. The following treatments can help smooth the process along. Rehydration – Drinking plenty of water and fluids helps relieve symptoms associated with alcohol dehydration such as dry mouth, headaches, and dizziness. Non-Steroidal anti-inflammatory drugs – These include ibuprofen, aspirin, and other painkillers to help with headaches and cramps. However, there are concerns that taking alcohol and aspirin together could increase liver damage and cause other health issues. Tolfenamic acid has been shown to reduce nausea, vomiting and gastrointestinal irritation while Pyritinol gives the body much-needed vitamins to help alleviate some of the symptoms. Is your head pounding? What about your stomach, is it churning and spewing up everything you eat? And the world, surely, it still must be spinning. If you’ve had a little too much partying and overindulged in alcohol, then you can bet top dollar that your body will have something to say about it the next morning. From aching muscles to jumpy nerves, there is no use at all denying that mind-warping hangup that consumes even the best of us. Fortunately, Mother Nature herself has the perfect tools to ease the symptoms of a hangover. 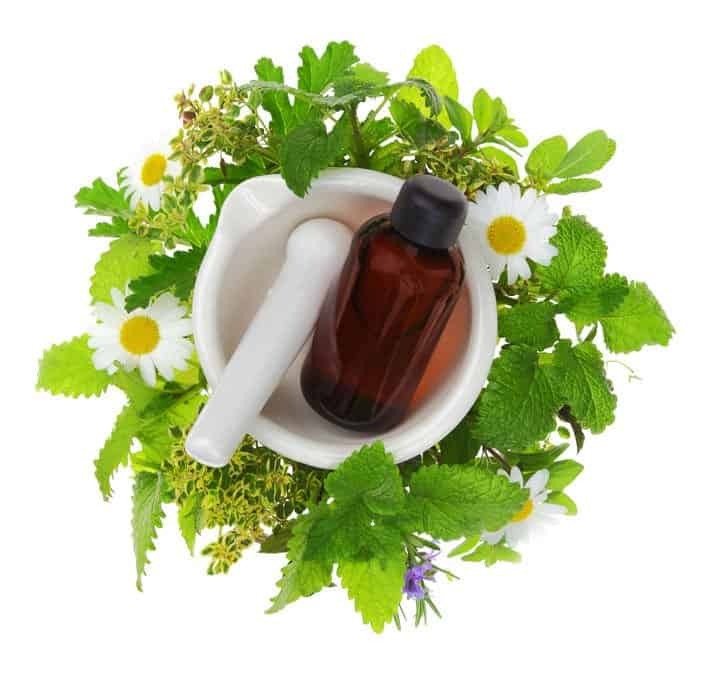 Essential oils come to the rescue by easing water retention, dispelling nausea, flushing out unwanted toxins from the body, soothing aching muscles and rejuvenating energy levels among other benefits. I’ve compiled the best oils for the job as well as some time tested recipes to help you put them to good use. As we speak, Grapefruit is already a well-known oil when it comes to treating migraines and other symptoms of hangovers. It is rich in vitamin C and antioxidants that help give a nice bolster to the immune system which is often depleted by heavy drinking. Similarly, grapefruit EO is an excellent refreshing and mentally uplifting oil that eases stress, calms and promotes a sense of peacefulness. Here’s an excellent and well-rounded oil that is packed with brain tonic qualities. As you’re well aware, hangovers can really impair mental clarity as well as other cognitive abilities. Rosemary EO comes to the rescue by clearing and refreshing the mind, improving concentration levels and boosting mental clarity. 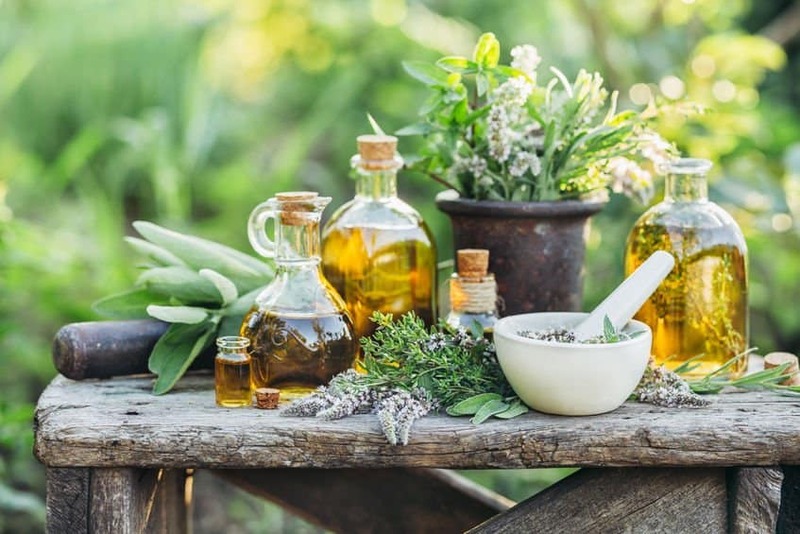 The oil also reduces memory loss from excessive alcohol intake, clears mental fatigue and drastically reduces the severity of headaches and migraines associated with hangovers. 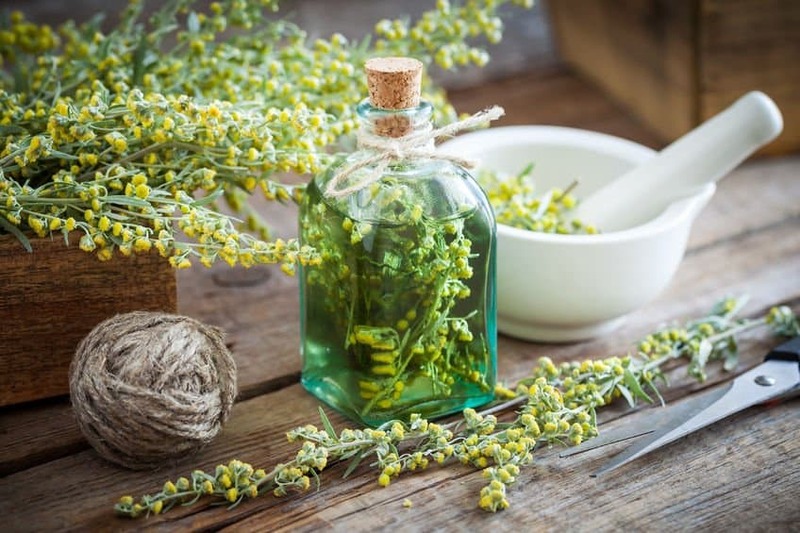 Introducing one of the most potent anti-inflammatory agents on this list, Sandalwood essential oil significantly reduces inflammation and soothes tension within the body. In addition to being an anti-inflammatory, Sandalwood EO is also a sedative which allows it to calm and relax the nervous system. This allows your body to restore a restful and relaxed state which is crucial for recovery. Likewise, the cooling effects of sandalwood make it ideal for controlling blood pressure and reducing other symptoms of a hangover. Here’s a very important oil that virtually all EO collectors have in plenty. 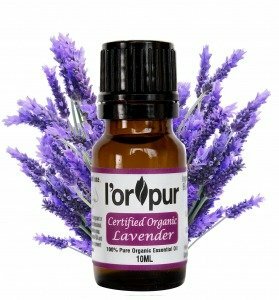 Not only is Lavender a wonderful healer, but it is unrivaled in its numerous therapeutic activities. Its anti-inflammatory and sedative qualities allow it to calm and balance the body as well as the mind which allows for faster recovery. This “swiss army knives” oil offers treatment for a variety of health symptoms of hangovers such as anxiety, insomnia, and sensitivity to stimuli, nausea, and irritability, among others. Who doesn’t love good old, pleasant smelling peppermint and all the wonderful benefits that come with the oil? When it comes to battling a killer hangover, Peppermint EO is one of the best allies for the job. The sweet scent of menthol works wonders at treating intense nausea as well as calming an irritated bowel. In addition to helping reduce pain and ease muscle aches, peppermint EO also alleviates headaches, migraines, and other symptoms of hangovers. Drop all the essential oils at the bottom of an empty jug and then add the cold water. Drink this blend all within 30 to 60 minutes to help hydrate, refresh, cool, cleanse, soothe and detox your body. As always, consult your doctor before ingesting any EOs in case of underlying health conditions. Combine all the oils thoroughly and apply onto the neck and liver area while massaging slowly for hangover relief. 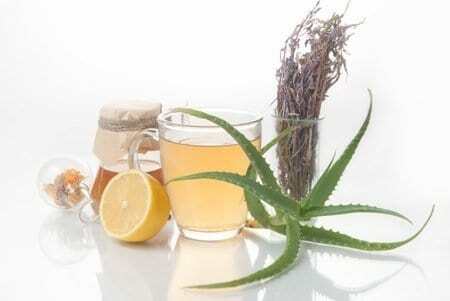 Combine all the ingredients and massage the refreshing and detoxifying blend all over your skin. Add the above essential oils to your diffuser at night or during the day to help revive, refresh, calm and sharpen your mind. I know I’ve mentioned water a couple of times now, but the importance of being hydrated during and after drinking alcohol cannot be stressed enough. Alcohol induces diuresis which causes us to urinate more and dispel water, potassium, sodium, and electrolytes before they can be thoroughly reabsorbed back in to the body. This leaves you feeling quite dehydrated. Drinking lots of water is a very effective remedy that not only rehydrates, but also helps flush out impurities and alcohol by products from your system. You’ve already seen how electrolytes are lost during alcohol consumption. You’ll want to replenish them if you hope to resolve your hangover faster. Water is not enough in this case, you’ll want electrolyte rich fluids such as coconut water, sports drinks or bouillon soup. A long standing folk remedy advises people nursing a hangover to take a spoonful of olive oil. While there is no evidence to support this remedy, some people actually swear and abide by it. Apparently, eating greasy foods such as pizza and other fatty foods helps grease up the intestine which mitigates the effects of alcohol on the body. True or False…who knows? For centuries, people have been using ginger to reduce nausea, vomiting and other gastrointestinal issues. Nibbling on a bit of crystallized ginger or drinking a cup of ginger tea helps one to overcome nausea, accelerate alcohol digestion and in turn soothe the stomach. Adding a few lemon slices in the mix will also help speed up the detoxification process. Of all the remedies for managing hangovers, bananas have become man’s best friend in the fight against the morning blues. Bananas are packed with potassium which becomes heavily depleted after a night of alcohol intake. What’s more, they are easy to eat even when nauseated or when you don’t have appetite. Here’s a totally natural and healthy way to get relief for your hangover. The higher fructose content in honey helps break down alcohol much faster and mitigate its effects as well as those of a hangover. A few spoonfuls of honey three to four times a day should help. While a hangover is not caused by lack of sleep, not getting enough rest makes the symptoms of a hangover much worse. So if you wake up and you’re not quite feeling yourself, try to get some food in you and then hit the sack. Sleeping is your body’s way of healing and recovering, so try to get a few extra hours of sleep in if it’s possible. There you have it my fellow comrades in drink; everything you need to know about hangovers right at the comfort of your fingertips. With this information, dealing with the symptoms of a wild night under the bottle ought to be easier. However, I hope you’ve understood that hangovers are not your enemy, just the body’s way of telling you that you drank too much. So try to limit your intake to amounts that your body can comfortably handle. Likewise, hangovers are a nasty business and should not be taken lightly; so do your best to give it time, let it run its course and wait until at least two days before you go drinking again. And for God’s sake stay as far away as possible from uncivilized and moronic practices such as the hair of the dog. Drinking more alcohol to cure a hangover only works to delay the inevitable. Just keep your essential oils close, try a few of the recipes I’ve shared and even a few home remedies to get relief for even the worst cases of hangovers today. Hilarious! I’ve had a big night and going through a massive hangover…your article just cheered me up. Hope i can get the EO together for one of your magic concoctions. Thanks. Let me know if you need any help.